Queenstown, located in Otago in the south-west part of the South Island, is only the 27th largest urban area in the country but one of the most well known. First and foremost, it is in an unbelievable beautiful geographic area. It is also the “Adventure Capital of the World”. Its where bungy jumping was invented by AJ Hackett. Also a big site for skydiving. And skiing in the winter. For me, it was a place to hike and see the beautiful scenery. Also I got to see a few more Lord of the Rings filming locations. 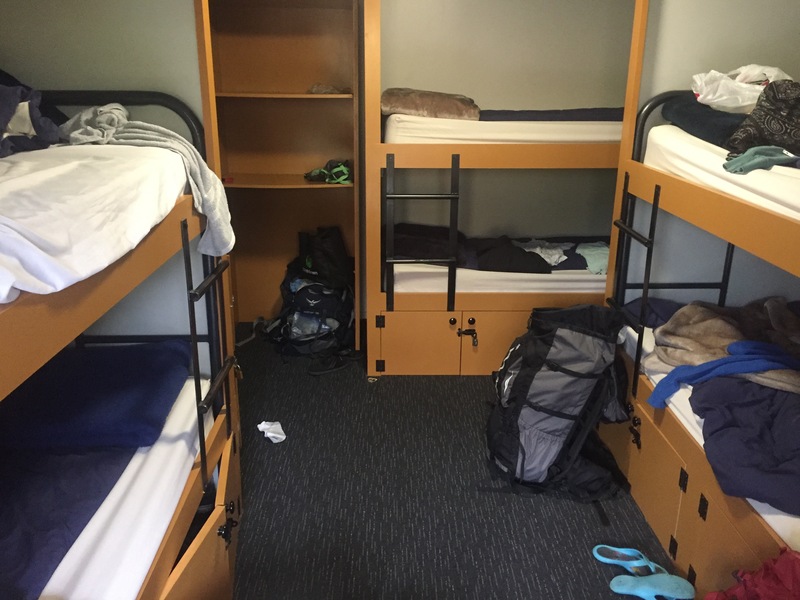 I stayed at a backpackers hostel for my 4 nights in Queenstown. I met lots of young travelers from all over the world. Isabel and Philips in particular were two of my roommates and we hung out a lot, cooked meals, and explored the town together. Unfortunately it was unseasonably cold and rainy every day except for one. That didn’t keep us from having a terrific time. -Its best to have a camping backpack. If you bring a rolling bag like I did, you’ll feel kind of lame. -Learn from those who are younger than you. As we get older, we get smarter about certain things but we also forget a lot. -You will be put in your place in a good way. A lot of folks back home thought I was adventurous for taking an international elective and using a few weeks of vacation to travel abroad. I met people who travel until their money is gone, then work somewhere new, then repeat the cycle. I don’t know if I could do that with how close I am to my family, but I really admire that lifestyle. I met a Dutch guy who bought a motorcycle in Auckland, spent a month biking around the north and south island, and then was planning on selling his bike and working in Tasmania during the harvest season. Their passion for living in the moment is infectious. I found myself cooking (which I’m terrible at) and trying all sorts of new things. -The hot tub will not be open. If it is open, you probably don’t want to get in. -You may play card games for hours with various Europeans. 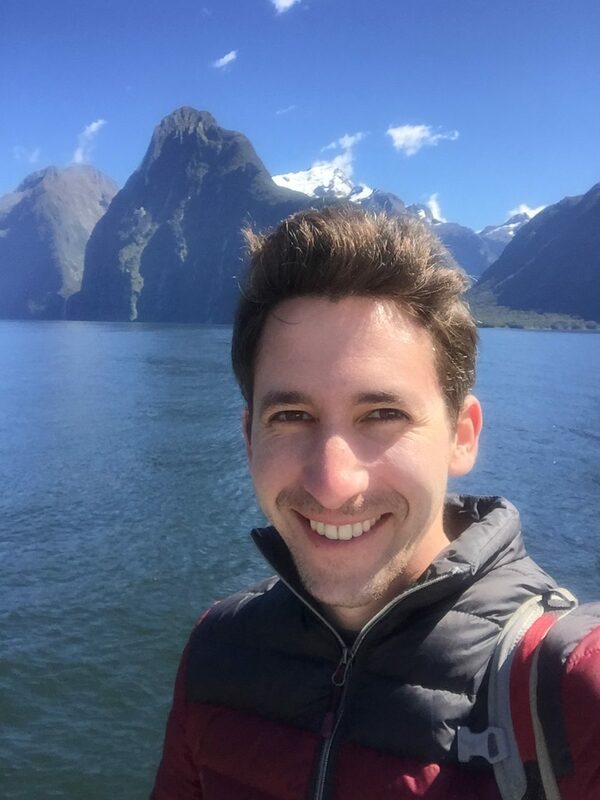 I went to Milford Sound on the one sunny day. I was picked up by a bus at 5:30 in the morning and enjoyed a 4 hour drive. Probably the best day of my trip. I actually slept most of the first half, which is remarkable for me. 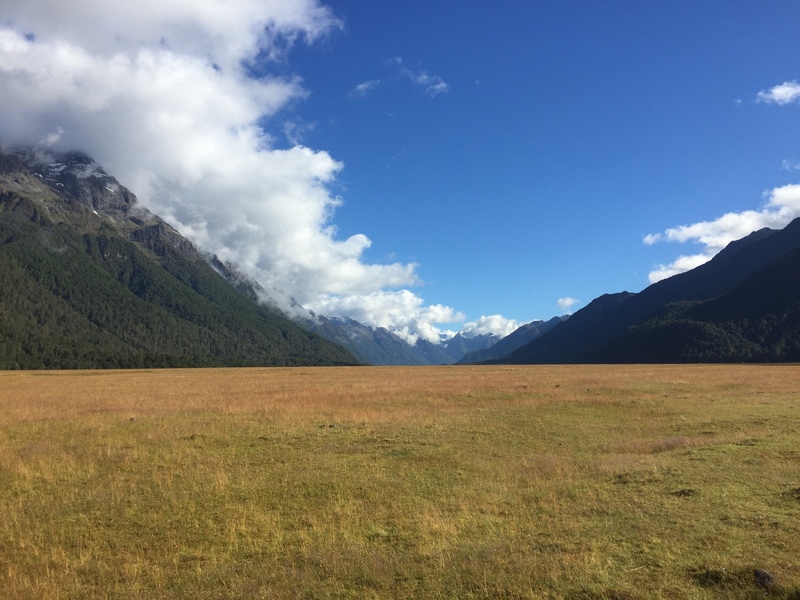 We stopped in Te Anau, which is known as the walking capital of New Zealand because it is in close proximity to 3 of the 9 Great Walks of New Zealand: Kepler Track, Routeburn Track, and of course the Milford Track. Most of them are 3-day hikes which require scheduling well in advance. 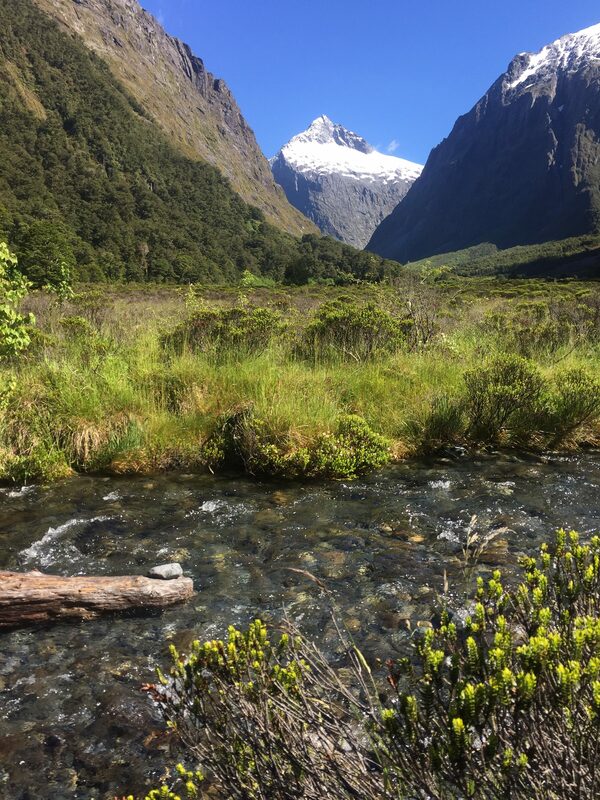 We stopped at many scenic stops along the way in Fiordland National Park including the Eglinton Valley and Mirror Lakes. We drank directly from a stream. And then we entered Milford, the 8th wonder of the world. The place is just mind-boggling. 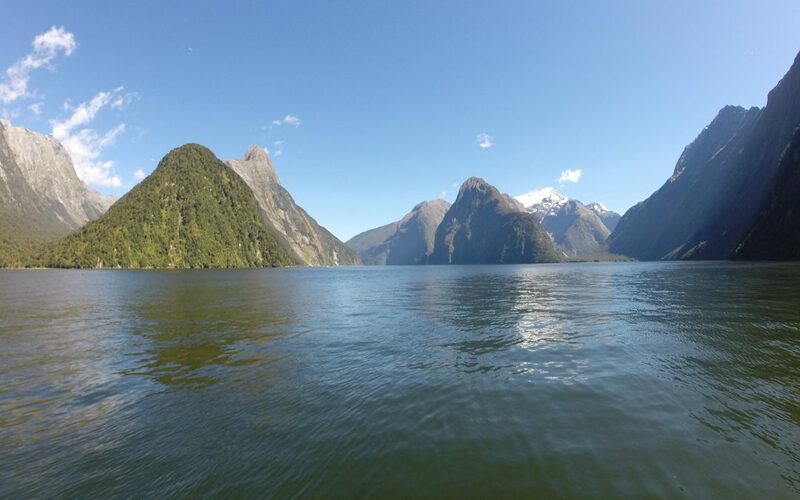 Its actually a fiord rather than a sound, meaning that it was actually carved out by glaciers rather than the ocean. The rocks jut straight up into the sky and glacial waterfalls come crashing down such that it appears they are falling out of the sky itself. Some of the falls are taller than Niagara. We got on a boat and took it through the fiord to the ocean and back. We saw dolphins and seals. Honestly, it was something out of a fairy tale. The captain was kind enough to drive close to one of the falls and give us the opportunity to get drenched by the crystal clear water falling from the sky. I was dried by the sun and the wind in a few minutes. Now remember the thing about me being afraid of small planes? 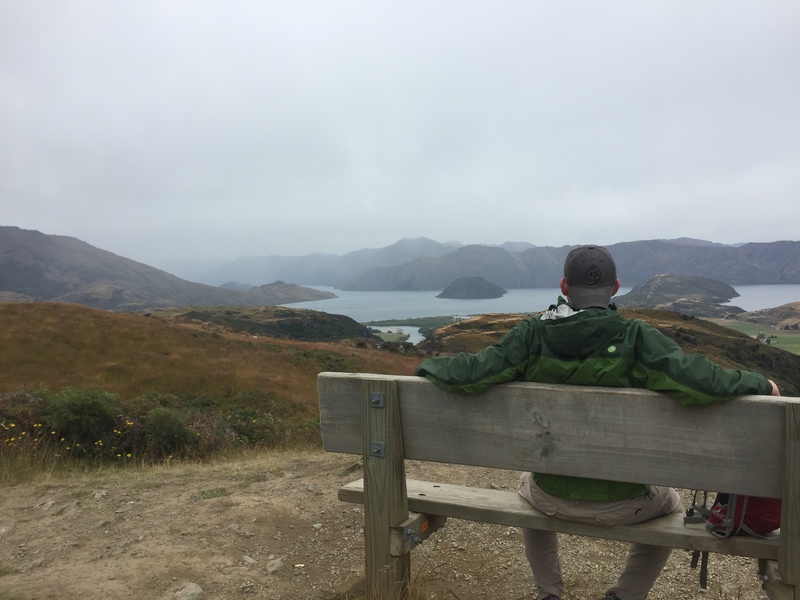 Well I decided to take the 25 minute flight back to Queenstown rather than the 4 hour bus ride so I’d have time to hike in the afternoon. This time I sat in the cockpit in the co-pilot seat. The plane had 4 seats. It was thrilling. 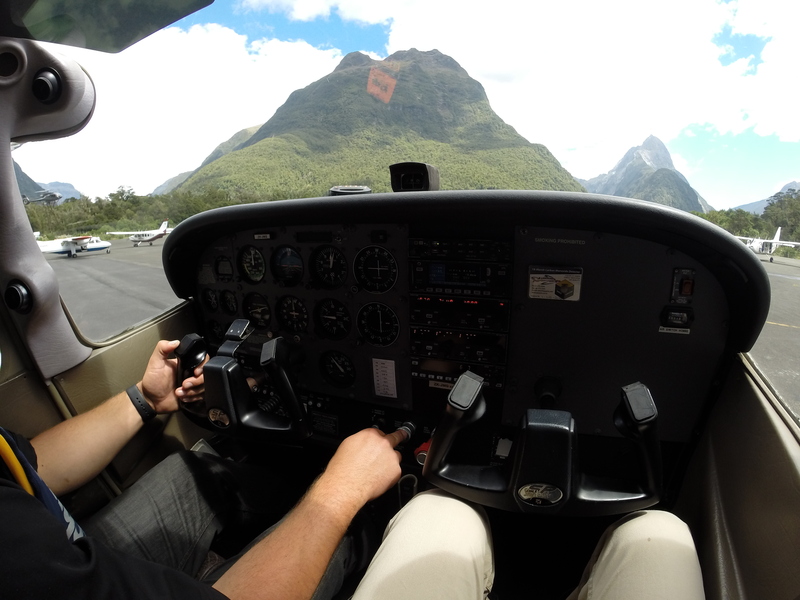 We flew over the scenic Milford sound and the different perspective provides a completely different experience. 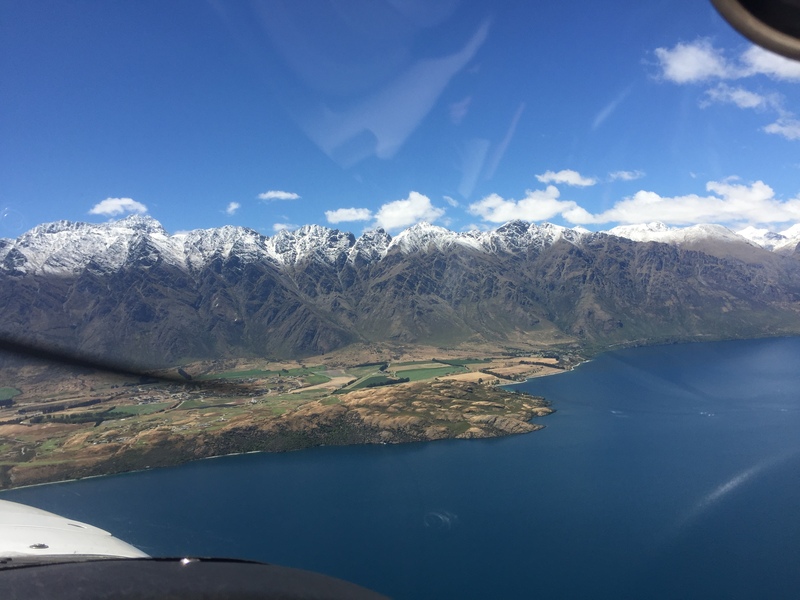 Then we flew over The Remarkables and other mountains which were filmed as the Misty Mountains in the Lord of the Rings. 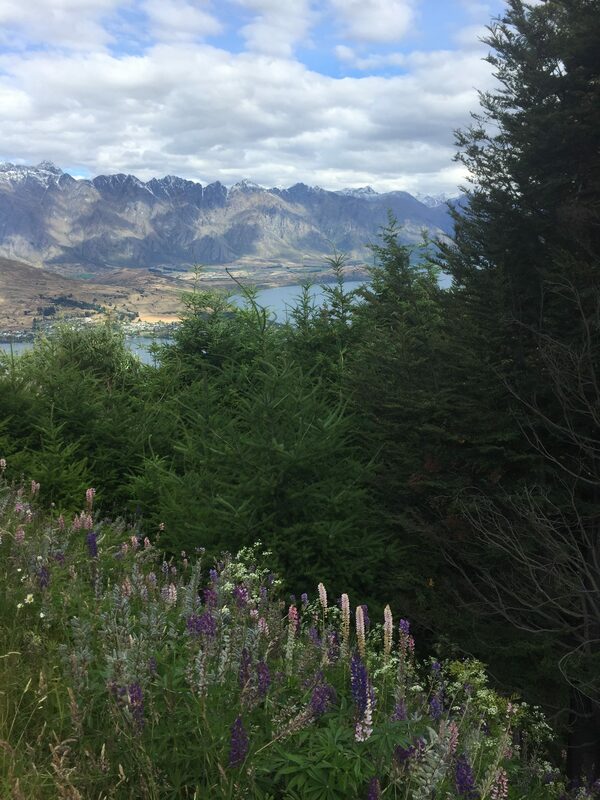 When I arrived back in Queenstown, I hiked up the Ben Lomond Forest to the top of the Skyline Gondola (similiar to Rotorua). From the top there is a beautiful view of Queenstown, Lake Wakatipu, and The Remarkables. That ended a full day. 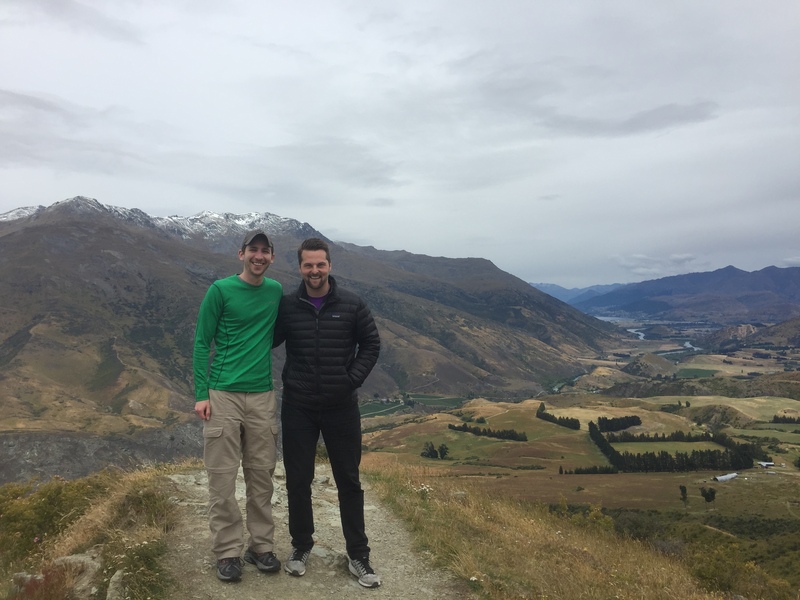 The next morning, Steve picked me up and we drove an hour to Wanaka. Steve and I met at the airport back in San Francisco. 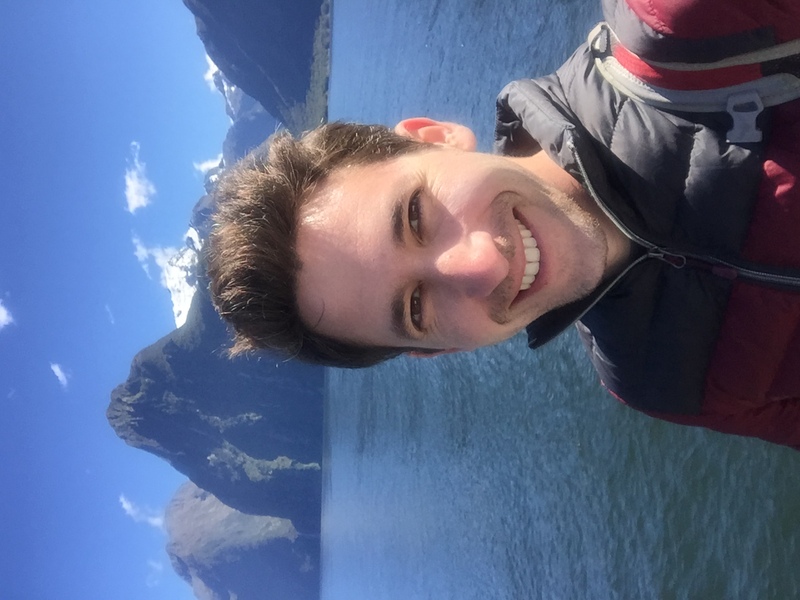 We’re about the same age and both enjoy hiking, Steve with the added benefit of living in Queenstown and having a car. So we kept in touch and am so glad we did. We saw the famed Wanaka tree growing in the middle of the lake. We planned to hike Roy’s Peak, but since the hike was 6 hours and we had inclement weather we opted to hike the Diamond Lake & Rocky Mountain track which was incredible even in the wind and rain. The best way I could thank Steve was to buy dinner at Fergburger, which is a legendary burger place in Queenstown. I got a chicken burger, since I don’t eat mammals (going on almost 5 years now). The next day, I flew to Australia. 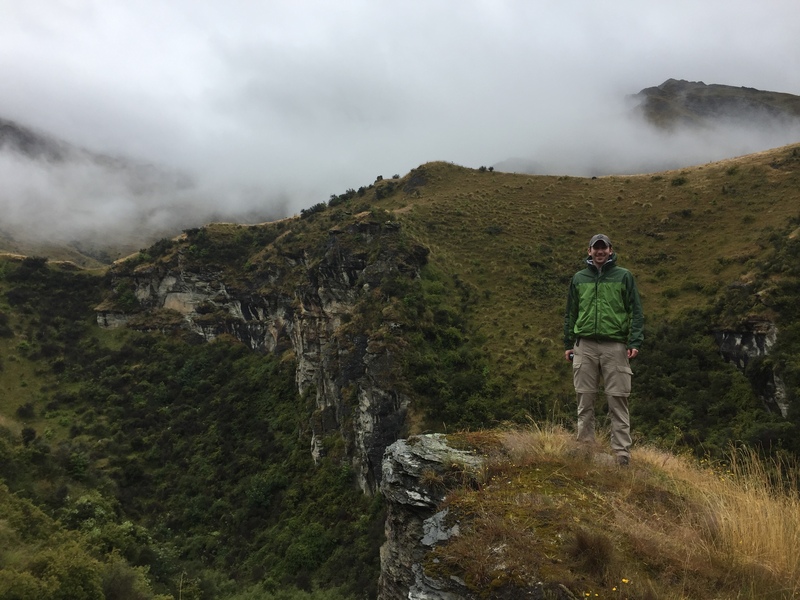 But first I took a rainy 4WD jeep tour of the area around Queenstown, which included driving through Skipper’s Canyon, which has been ranked the 3rd most dangerous road in the world. We also visited Arrowtown, an old gold mining town, and saw more LotR filming sites. And with that, I walked on to another plane (big one) and said “until next time” to New Zealand. 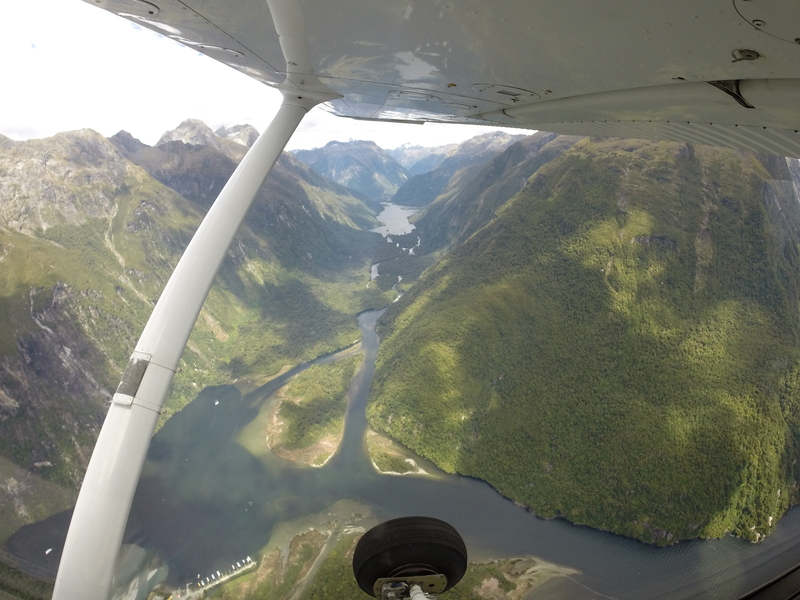 Fiordland National Park. We filled our water bottles in this stream. Regretting my decision to fly. Not regretting my decision to fly. The Remarkables in Earth. The Misty Mountains in Middle Earth. Hiking in Queenstown with the Remarkables in the background. Me and Steve en route to Wanaka. A break from hiking in Wanaka. Cloudy and rainy and no problem.